Conduct business with confidence and consistency, whether you operate in two countries or 200. For almost a century, companies have turned to AIG as a trusted partner for customized and seamless multinational insurance solutions. As your business evolves, count on AIG’s exceptional breadth of products, local market knowledge, and outstanding claims service across our global network. 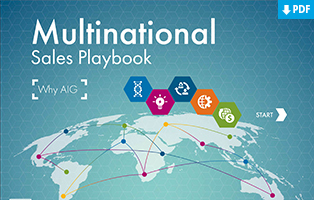 AIG Multinational Program Design Tool helps Canadian companies with overseas operations develop compliant insurance programs to help protect their operations in Canada and around the world. To determine your specific needs, this interactive tool will guide you through local regulations, tax exposures, and coverage issues based on information from more than 200+ countries. Answer a few questions and, together, we can make better-informed decisions about the protection you need. 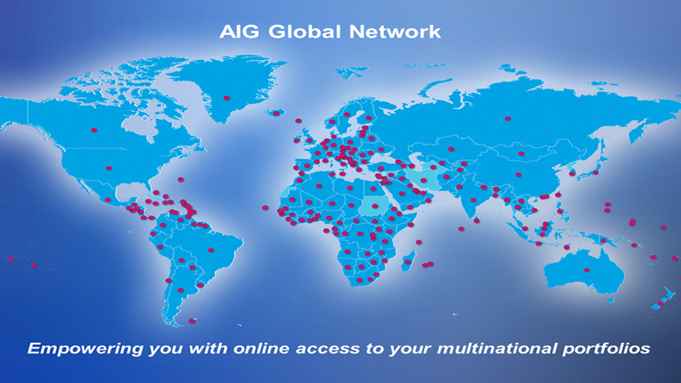 Explore our broker sales tool to learn about all the ways AIG can create value for your multinational clients. The Playbook will help build successful partnerships and unlock opportunities across the world. The best executed multinational programs rely on preparation and accountability across all parties. That’s why AIG has designed a collaborative, technology-enabled process that delivers expert program design, timely policy issuance and puts our clients first. Take advantage of our online account management tool, which has everything you need to keep your multinational insurance program running at its best, right from your desktop.